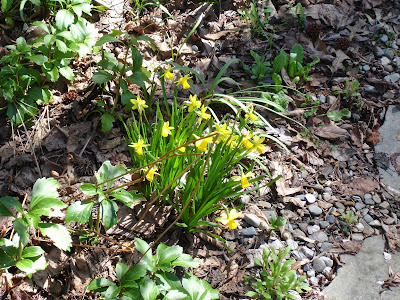 The Next Stage: Women and Retirement: Finally, I have daffodils! February Gold arrived in April this year but did finally arrive! 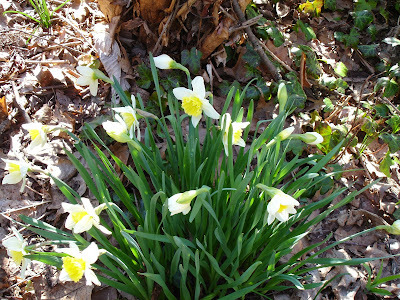 The early daffodils are all blooming and my old reliable Ice Follies are popping up all over the garden. 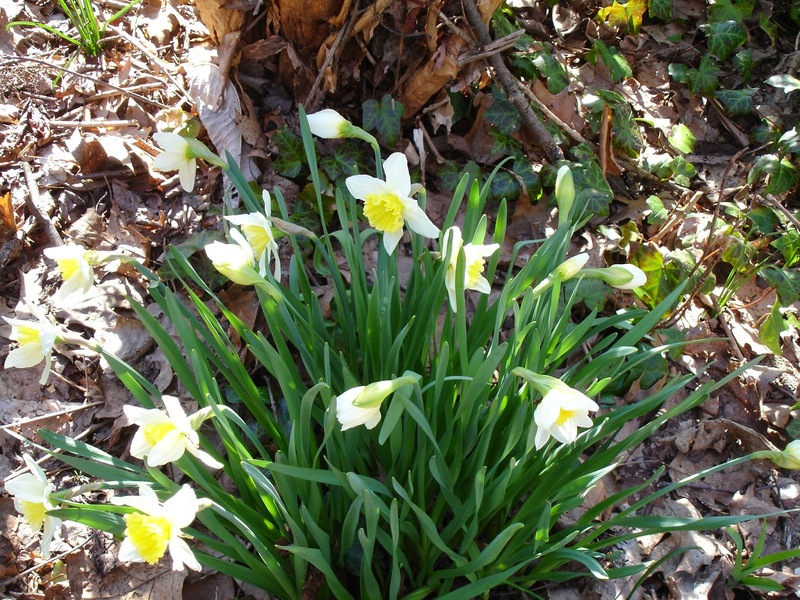 Ice Follies is the toughest, most long lasting daffodil variety I’ve come across and one of the least expensive as well. 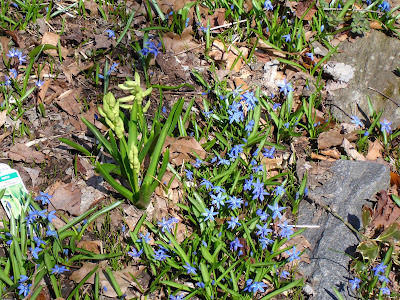 A carpet of blue scilla is everywhere. 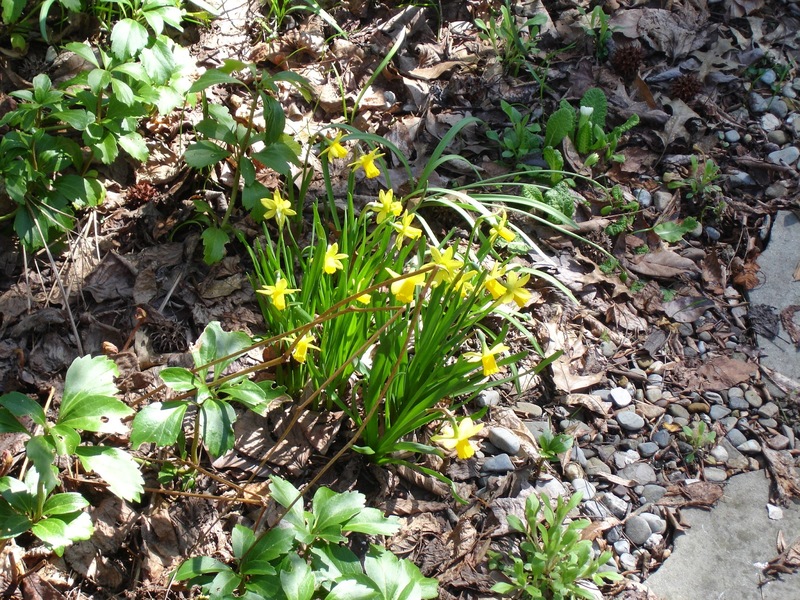 This is an amazing little bulb; it flourishes in deep shade as well as in sun, multiplies rapidly, and requires no fertilizer to return reliably year after year. Also, it is one of the very few true blue flowers--as opposed to the much more common purplish blue. In the next couple of days, my hyacinth should all be in bloom and I’m really looking forward to that intoxicating fragrance. The fragrance of hyacinth forced in pots just can’t compare to hyacinth grown in the garden. 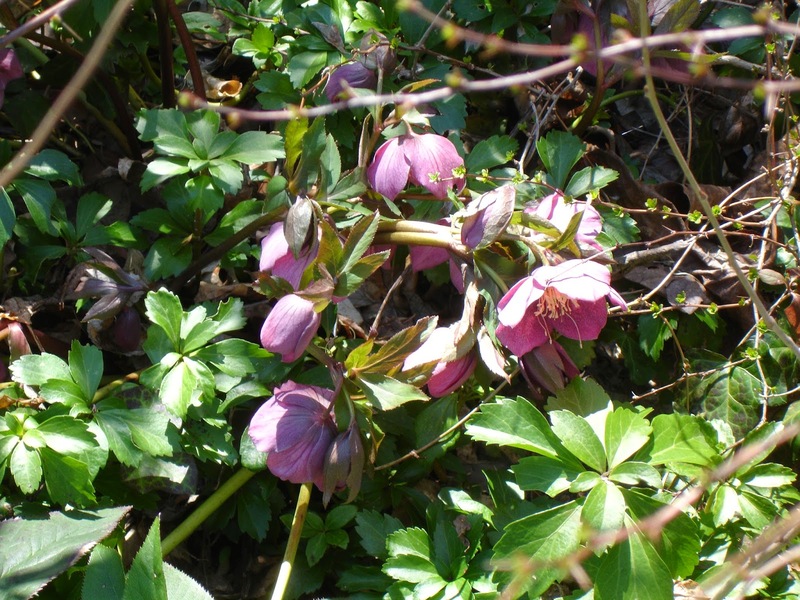 Hidden away in shady spots, my hellebores are blooming. It's easy to overlook them and one of the great joys of retirement is that I get to really take in the beauty of the flowers. Of course the down side is that I no longer have a long stretch of gardening seasons ahead of me, but I try not to think about that too much. 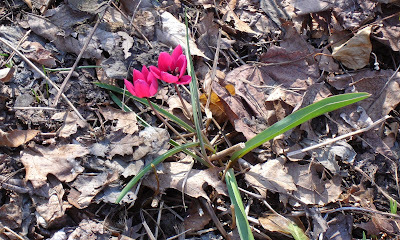 And yesterday, my first tulip appeared--a tiny species tulip, pulchella. 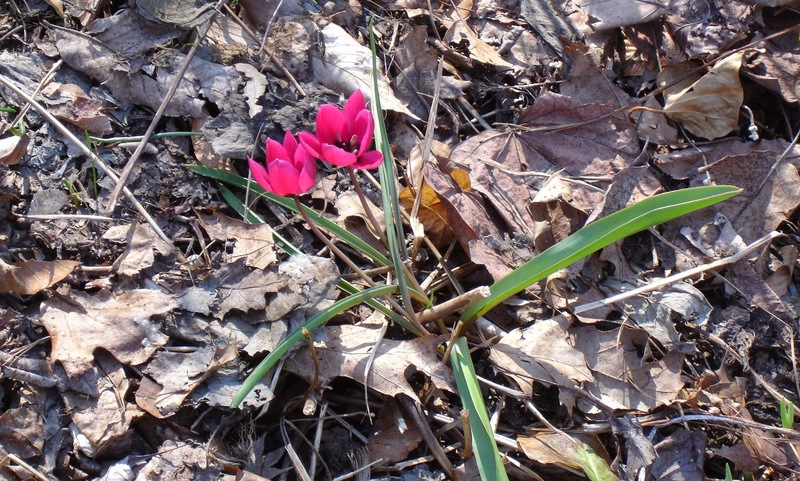 The species tulips appear with the early daffodils. They are thought to be very close to the original tulip varieties with small cups and short stems. They are much less showy than the hyper-hybridized tulips we all love and they last for a very short time, but unlike most tulips they return reliably year after year. At last, the show has begun!